‘Electric’, ‘fun’, and ‘technology’, these are the three things which inspired this abstract. A never ending flow of diagonal bars. 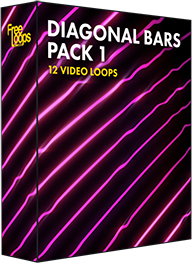 Use this video loop as a the perfect beginning of your VJ set, a great digital asset to add to your video collection.